Well. My trial import of a photograph seems to have worked. 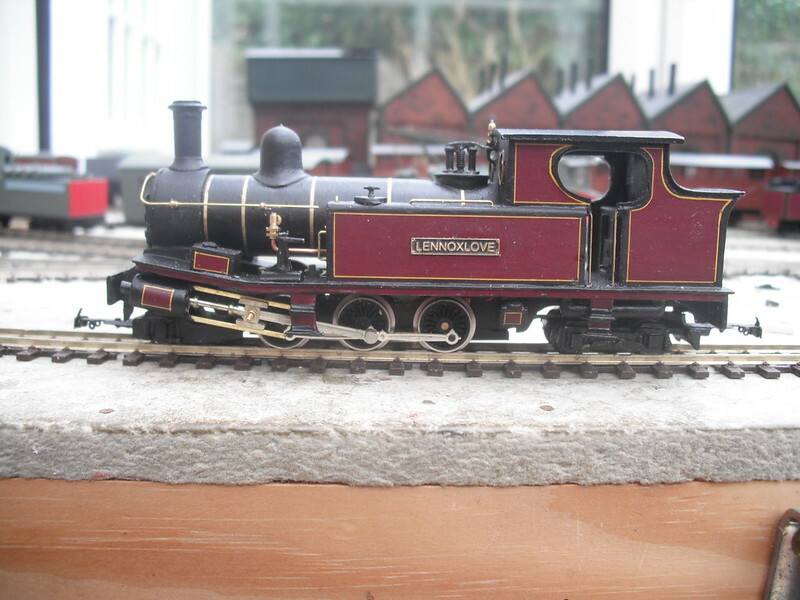 So I shall kick off with a description of my narrow gauge (009 sort of) empire, which is slowly struggling into life. 'Reekieland' is a hypothetical patch of S.E. Scotland in (perhaps) the late 1950s / early 1960s. rather in what I might have liked it to have been. Carse of Reekie, Glen Reekie, Spittal of Glenreekie, Reekieshiels, Aberreekie, Auchterreekie, Dunreekie (or Dunreekin' if you will) and the like. but one end of it (which would be three sides if it were freestanding) butts against our house. So the layout, such as it is, is an odd shape, which will become odder as it extends. but the shape of the greenhouse means that three of the existing four are not simple rectangles, but incorporate a 45 degree "kink". a frame of 2" x 1" planed softwood planking, overlaid with "Sundeala" paper-based softboard. The four existing boards contain a large (by NG standards) locomotive depot (boards 1 and 2). A three-plaform-face part-terminus passenger station with goods and carriage-storage facilities (board 3). Whilst these are adequately provided with buildings, almost nothing has yet been done about track-ballasting or ground cover. and which will provide the facilities notionally generating some of the traffic which the railway is intended to serve. 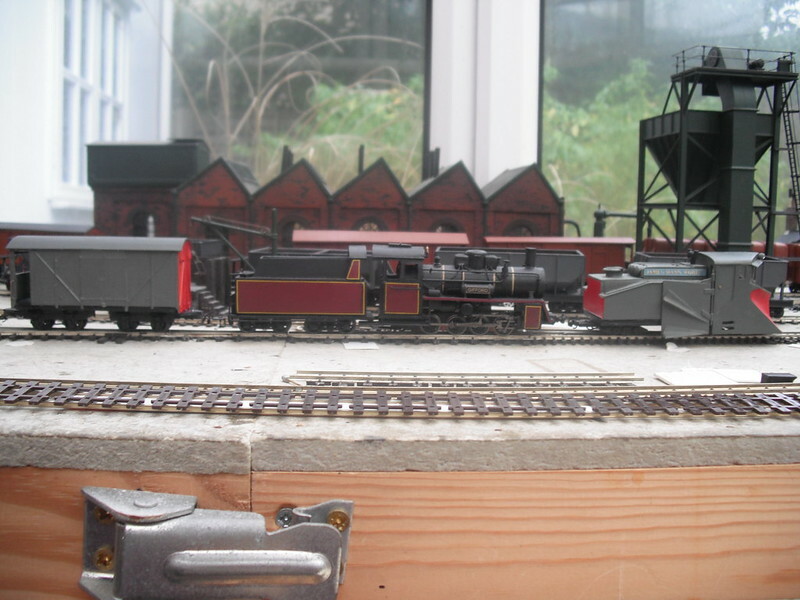 So here are a few pictures of bits and pieces of the layout and some of its mechanical inhabitants. 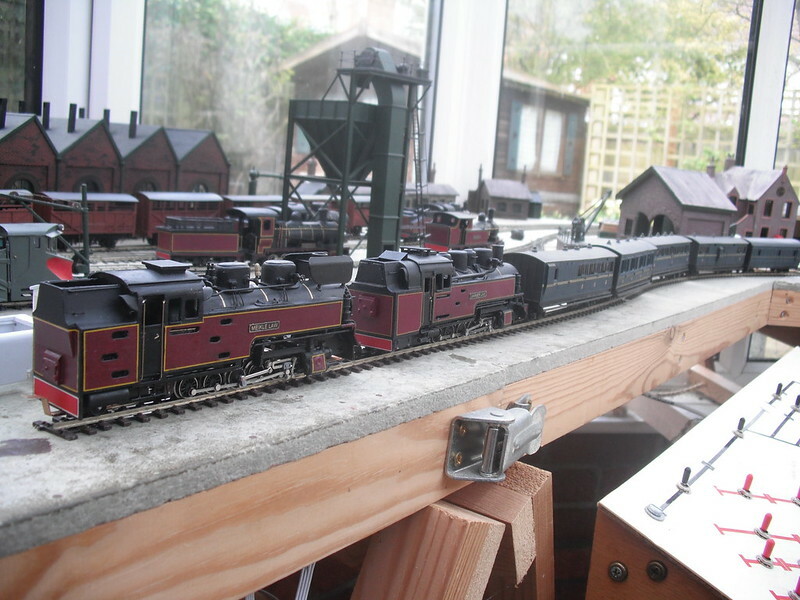 This is the main part of the loco depot, with some of its larger inhabitants. This is taken looking at 180 degrees from the previous one. 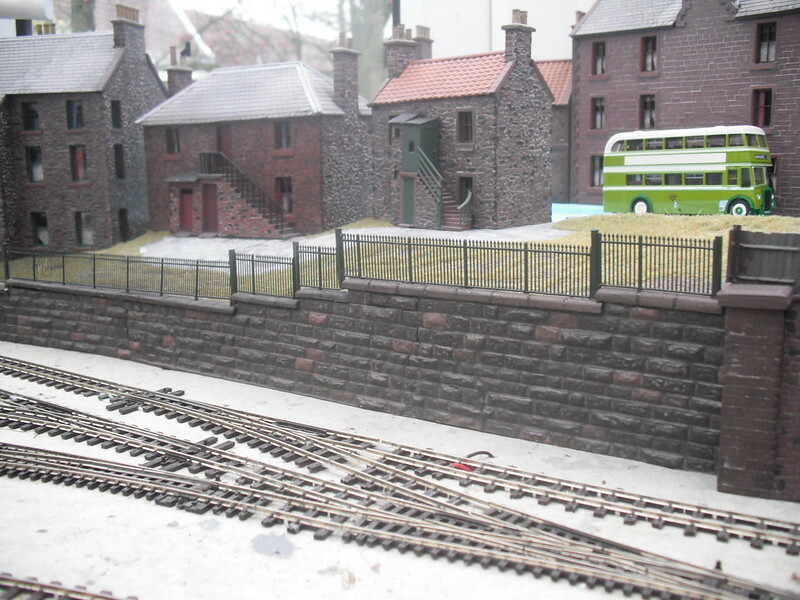 Part of the station building and the goods shed can be seen in the background. Maybe I'll take a shot at posting some locomotives and then at some rolling stock in future posts. Right now I'm concocting some 4mm scale road haulage vehicles, and maybe some of these will figure later. I'm not into building 'buses. Handsome locomotives and I like that goods shed with the crane on platform. Very nice! The locos are quite nice also. I love the flowing track design around the loco depot. We would love more photos. As you can see, I'm still struggling with the paragraphing on Freerails. And this kind of largely retrospective overview is something I'm not used to providing. But thanks for your positive responses. I'll try to do more justice to the flowing trackwork. this, my first essay in tracklaying, has been giving me some fun. I WILL persist in trying to run home-built monster locomotives through reverse curves with lots of points. It looks like you were at least partially successful with the 1st Post. Seems you got stuff up & then spent 11-mins editing it, from what I can see by the times. I would try & help you edit it a bit, but clearly some of the photos are missing. If I can be of any help at all Fred ... just ask. I'm sure we can get there. ... depending on lots of variables like your computer O.S. & browser etc. ... formatting isn't always carried over as one might think. ... Unlike some Sites, Freerails provides FREE photo-hosting for its Members. Give us a shout anyway ... GEEZER ! ... & for other Members looking in as well. There is sometimes a tendency to end up writing 'War & Peace' illustrated ... In 1 post ! I think it just kinda 'happens' sometimes. There is really no need at all, to Post HUGE amounts of text & photos to 1 single Post. ... Post that ... & then simply do the same again, if you have more photos & text. ... this avoids the problem of 'gargantuan Pages', which can take an eternity to load on some internet connections. ... so feel free to use as many as you wish !! ... is 10 photos per Page is ideal & 20 is my absolute MAX. ... there are Pages around on Freerails, with as many as 100 ! photos on !! With my 4G Cellphone Internet, I can't even view Pages like this & have to just hit - STOP LOADING. It looks like a GREAT lil 'Empire' BTW Fred ! In fact, all the pictures were there -- only three, so no "War and Peace". Let's see if I can do better next time around. 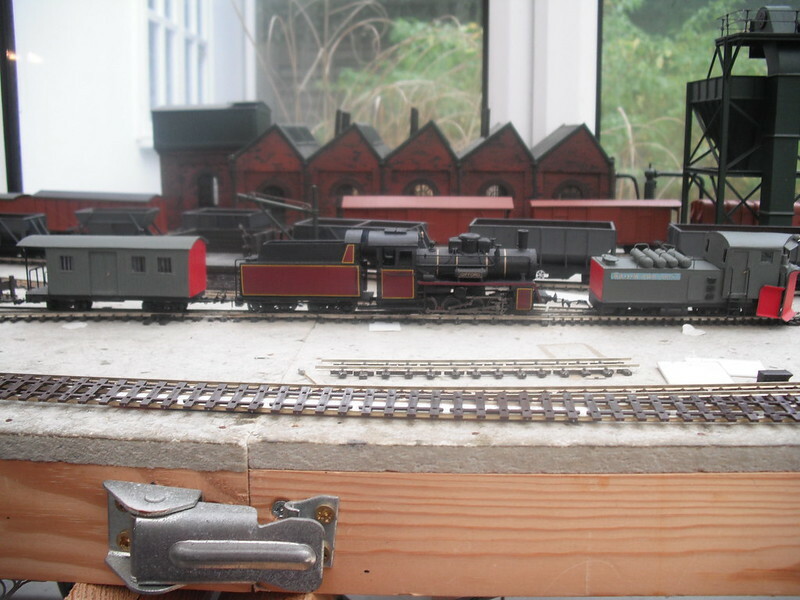 Here is the middle section of the loco depot, taken across the tracks. In the foreground is a snowplough train. 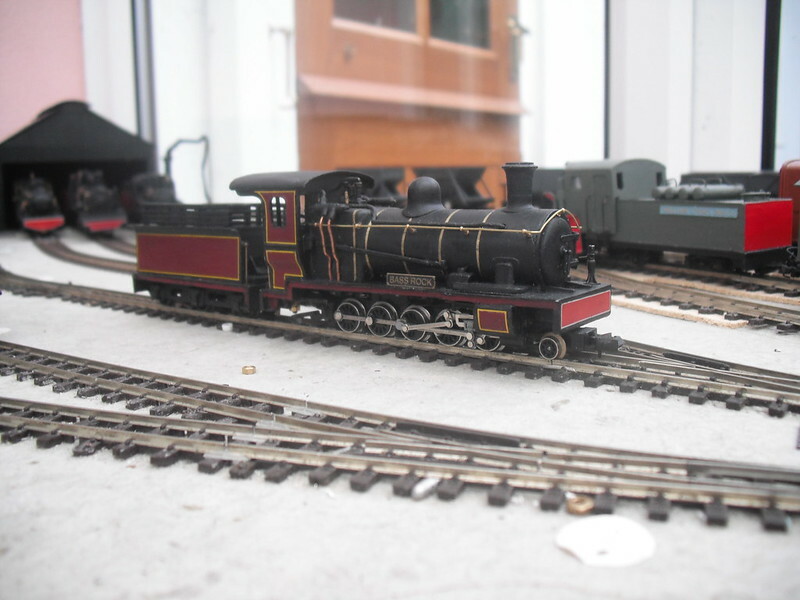 The locomotive is a Polish Px48, scratchbuilt in styrene on an old Farish chassis. 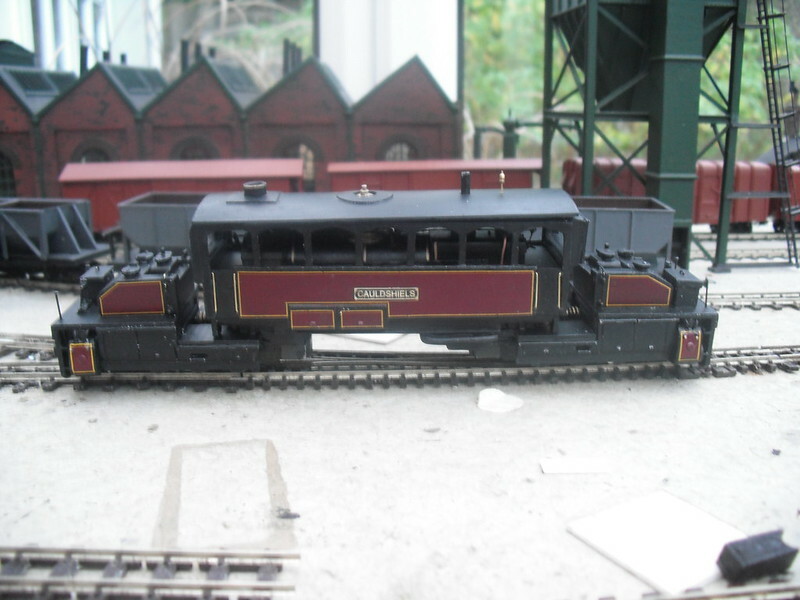 as a Japanese-style unit on the basis of a tender which I'd built for a Chinese C2, but got wrong). Next up, another snowplough train. This plough is a German-style job, based on a redundant home-built Henschel tender. The original purpose of that tender will be revealed "later". there are some weird ones, which repay investigation. 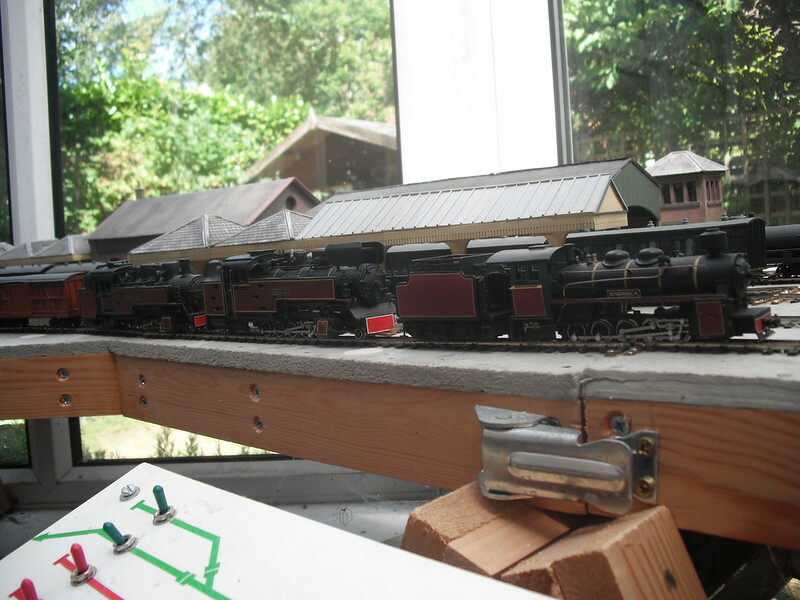 Then, here's a view across the station, with a few locos in attendance. I'll explain the locos later. and the roofs of the carriage storage facility, notionally based on a pensioned off version of the locomotive depot. so that a complete overview of the layout as it stands will have to wait. 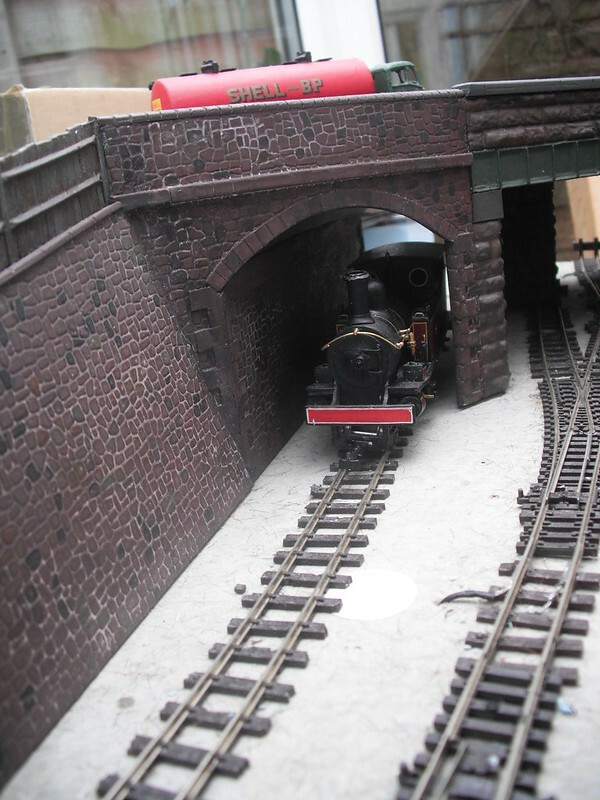 The best I have for now of the road overbridge, which ends the Back Street scene, is this. It was taken for another purpose and it shows only part of the structure. Next up I'll post some of the locomotives and perhaps other rolling stock, with some explanations. OK. Apart from some typos, that seems to have worked. 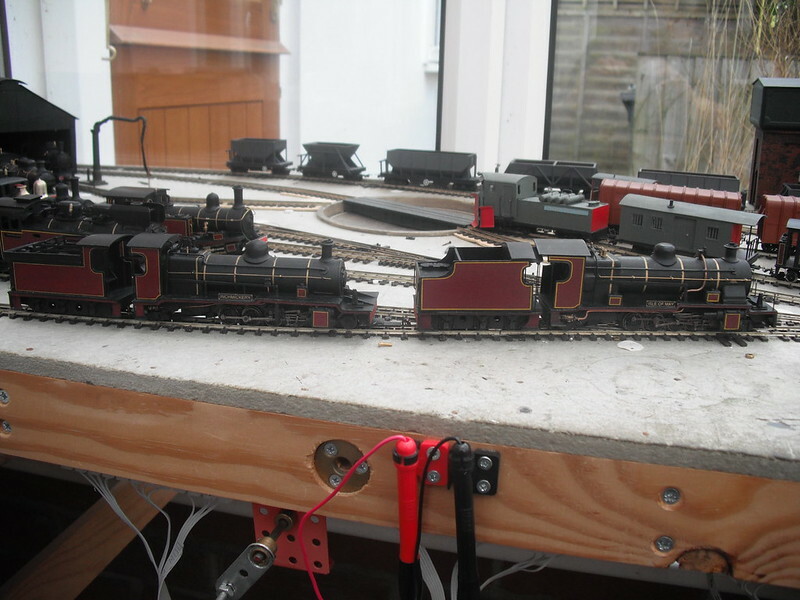 So perhaps now for some of the locomotives, which is where much of my recent effort has been made. They may come in any old order, based on sequence of storage of the photographs. 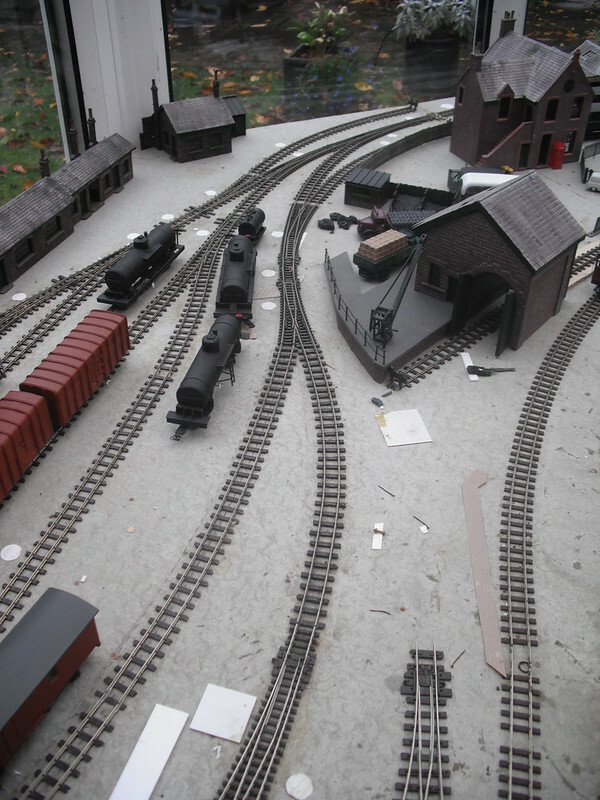 All are styrene, scratchbuilt on proprietary N-gauge chassis. where none is available, I've faked up my own in styrene. 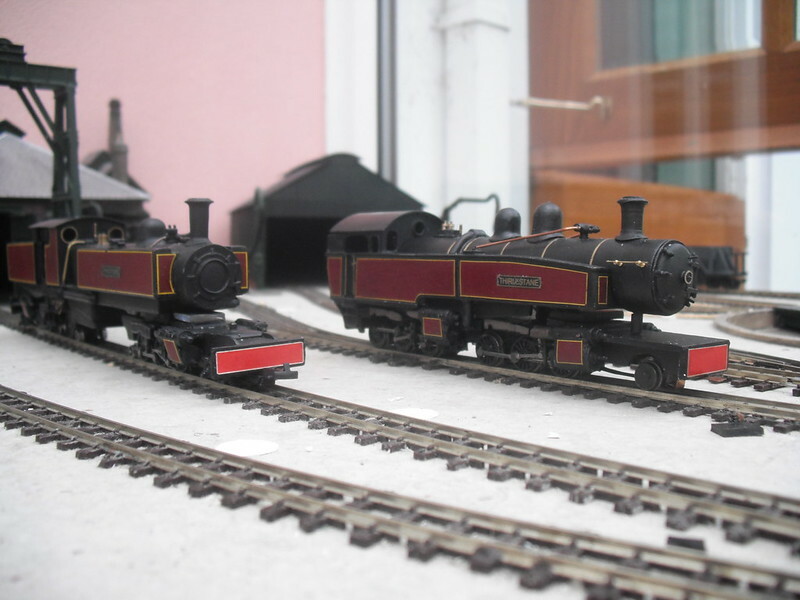 These are two British-built 2-8-2s for Indian 2ft gauge railways, a BS by Bagnalls (I think) and a ZE by Nasmyth Wilson. Then there's a Henschel 2-10-2 for the Feldbahn. Then a 4-8-0 for Sierra Leone by a mixture of UK builders (it was a wartime job passed around from works to works). Then how's about a tank engine: a Malta Railways 2-6-4T by Beyer-Peacock. Never mind that it was a metre-gauge job in reality, it doesn't look too out of kilter on 9mm gauge at 4mm to the foot. 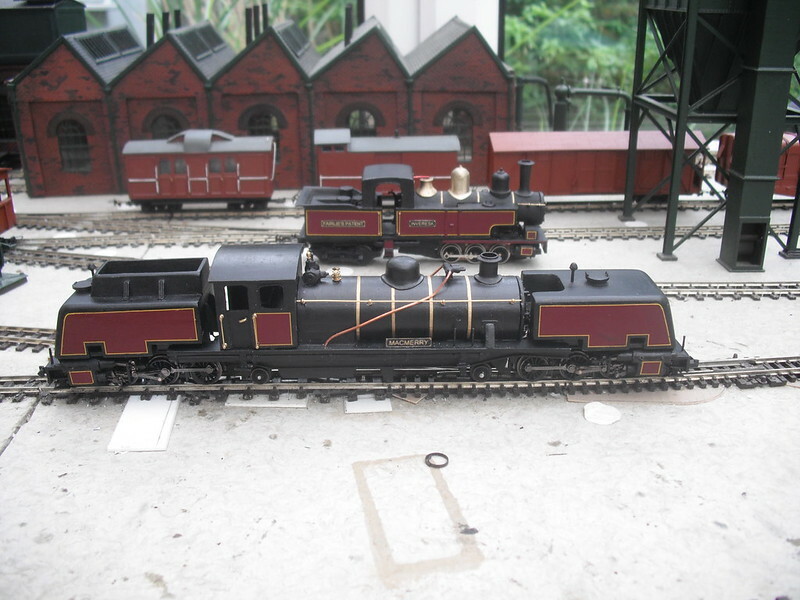 These two 2-10-2T cousins were built for the 75cm or76cm gauge, and look quite a lot chunkier than the Maltese chap. to plans very close to the second one, built in Germany for the Saxon NG. All this spacing is an artefact of the editor. I shall just have to proof-read more carefully. Meanwhile, some more little engines. 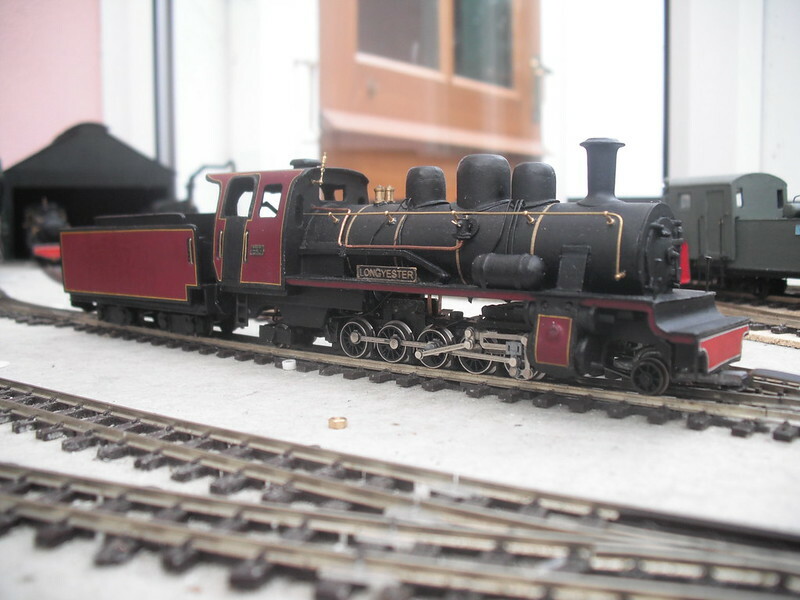 A Victorian Railways G41/G42 Garratt on Avalonline chassis, a cottage industry producer. because they use a layshaft drive to place the motor at the "outer" ends of the sub-chassis. to give them new mechanisms plus a new lease of life, looking better than before. Whilst engaged in doing that, I built them a couple of little articulated friends so that they wouldn't be lonely. 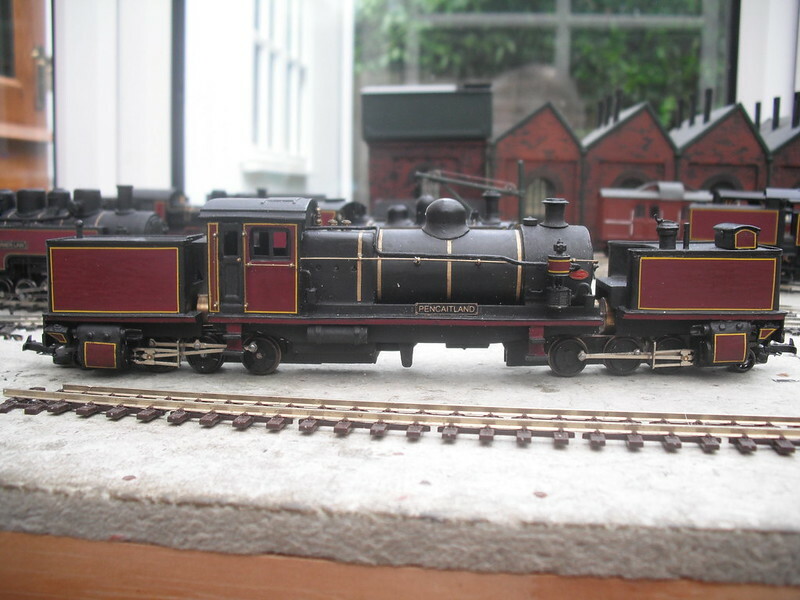 A Jugoslav/Serbian Class 92 Mallet caught whilst snuggling up to one of the Kitson Meyers. A Garratt proposed by Krupp but never built, for the CF Amboim in Angola. I used a bit of licence by giving it a raised coal bunker in the manner of its bigger brother for the CF Angola, which was built. 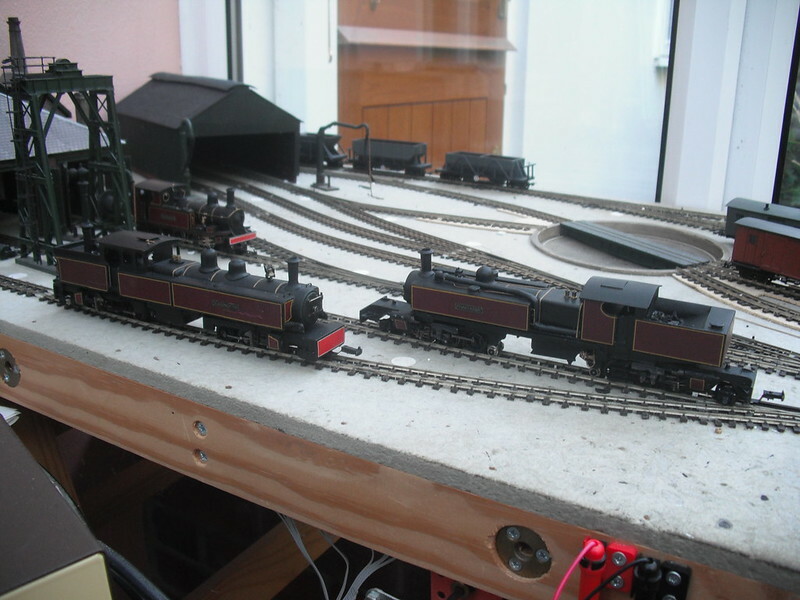 All these used combinations of Bachmann/Farish 2-6-0 N-gauge mechanisms. As a result of the Kitson Meyer rebuilds, I had some surplus old Lifelike 6-coupled mechanisms, which I put to use under this. Which is an unorthodox-looking Garratt of the Belgian Vicinal tramways. It's a recent completion, and I'm still accustoming it to coping with some of my manky track. 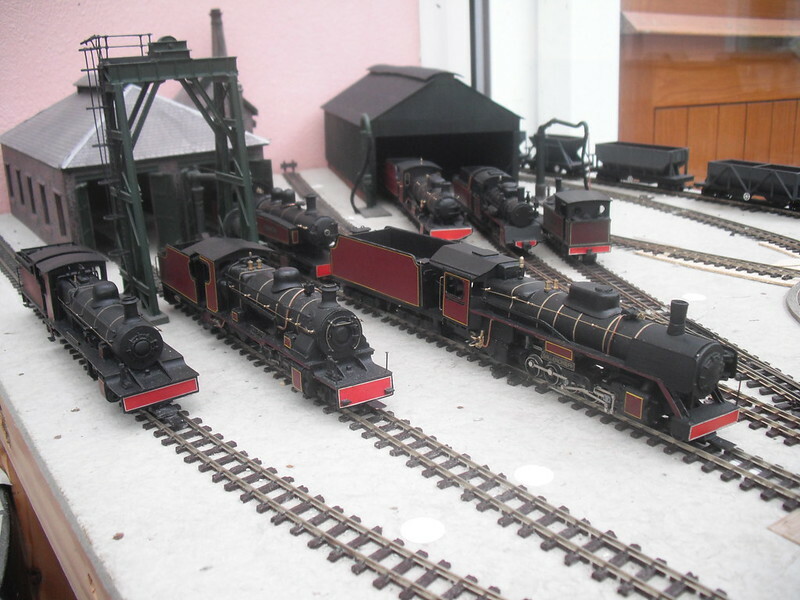 Wow, you've got some great loco's and other rolling stock! I like them all.